Amanda Fletcher Wynalda practices in Ventura and Los Angeles counties. She has experience in family law and mediation, tax and estate planning, business entities, and sports and entertainment law. Prior to joining the Dion Law Group, Amanda worked at Andersen Tax advising high net worth individuals, trusts, and foundations on their tax planning needs. 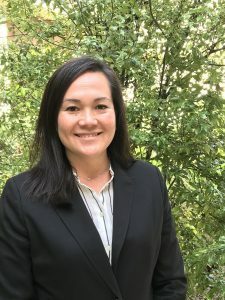 A graduate of Pepperdine Law School, Amanda was an associate editor for the Pepperdine Law Review, an advocate with the Special Education Clinic, and represented the school in several negotiation competitions. During law school she worked for the IRS Chief Counsel’s Office and FOX Business and Legal Affairs. Before earning her Juris Doctor (J.D. ), Amanda worked in television production for major networks such as NBC, ESPN, and Fox. She attended UCLA and graduated with a B.A. in English and was an editor for the Daily Bruin. Amanda lives in Thousand Oaks with her husband and children. She also volunteers at the Conejo Free Clinic and with the Los Angeles Chapter of the International Refugee Committee.